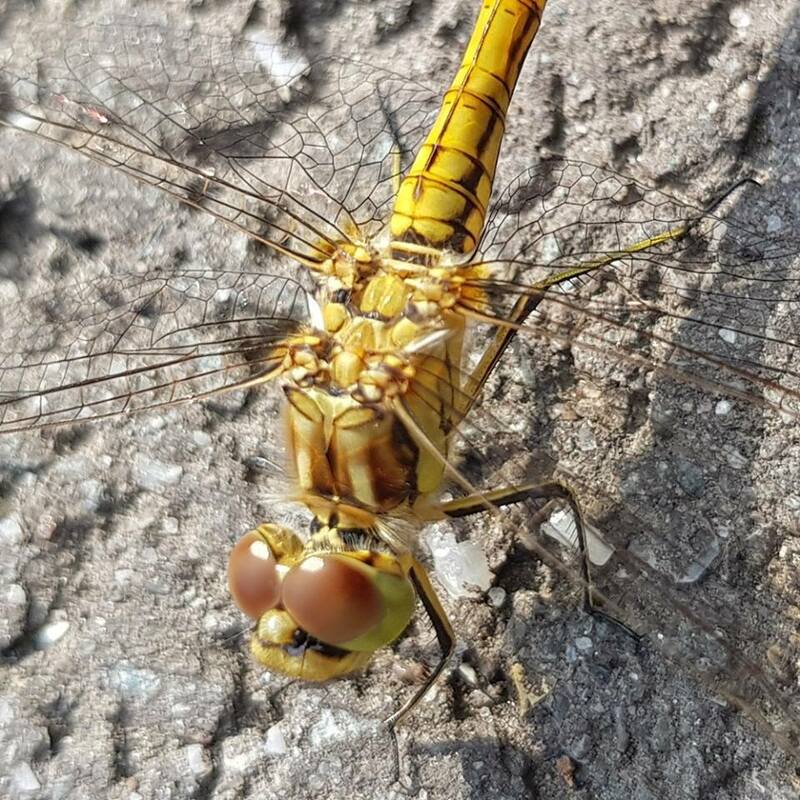 Above is a wonderful photo of a dragonfly taken by my brother-in-law Christiaan Breur who took this spectacular pic with his mobile phone. Christiaan is an amateur photographer and will be sending The Big Wobble more of his fantastic work in the future. A dragonfly is an insect belonging to the order Odonata, infraorder Anisoptera (from Greek ἄνισος anisos "uneven" and πτερόν pteron, "wing", because the hindwing is broader than the forewing). Adult dragonflies are characterized by large, multifaceted eyes, two pairs of strong, transparent wings, sometimes with colored patches, and an elongated body. Dragonflies can be mistaken for the related group, damselflies (Zygoptera), which are similar in structure, though usually lighter in build; however, the wings of most dragonflies are held flat and away from the body, while damselflies hold the wings folded at rest, along or above the abdomen. Dragonflies are agile fliers, while damselflies have a weaker, fluttery flight. Many dragonflies have brilliant iridescent or metallic colors produced by structural coloration, making them conspicuous in flight. If any reader of The Big Wobble wants to join in and send in your wonderful photos my email address is gazbom56@gmail.com, thank you.